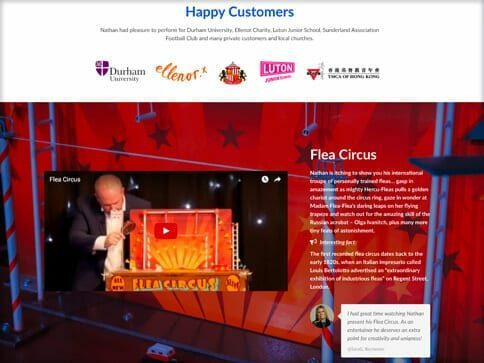 Nathan has been a professional and award-winning children’s entertainer since 1998. 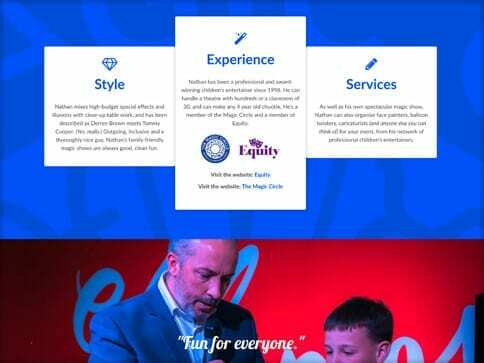 This is his first website showcasing his work as magician. Nathan mixes high-budget special effects and illusions with close-up table work, and has been described as Derren Brown meets Tommy Cooper. 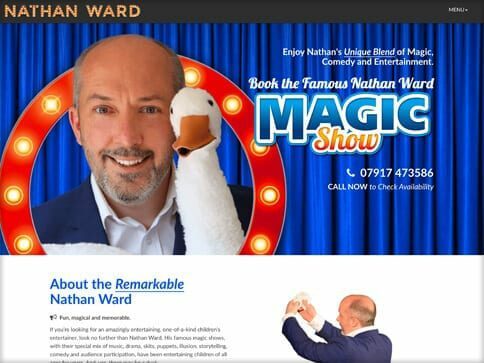 Outgoing, inclusive and a thoroughly nice guy, Nathan’s family-friendly magic shows are always good, clean fun.